I’m prepared, gardenwise, for cold weather. What’s more, I’ll know when it’s here. My quiver of thermometers stands ready. Outdoors, I’m monitoring temperatures with two Taylor brand thermometers. The “Digital Wireless Weather System” sensor out in the garden beams temperature readings to the indoor receiver unit to keep me posted on the weather. In addition to the temperature, this thermometer shares the dew point and the maximum and minimum temperatures from whenever I last re-set those temperatures. For a little experiment I’m doing I need seeds of Thompson & Morgan’s ‘Gardener’s Delight’ tomato. This British company (http://www.thompson-morgan.com) sells those seeds on their British website, but not their U.S. website. T&M does not ship items from that site to the U.S. Can someone out there send me a packet of those seeds? (‘Gardener’s Delight’ seeds are also sold by some U.S. seed companies but, for the purposes of my experiment, I need T&M’s seed of that variety.) Please contact me through my website, which is linked to this blog (on your right, just below the photo of me). Thanks. One of my favorite things about our planet is that the darkest and the coldest days don’t coincide. Wouldn’t that be depressing if they did? We cleared the hump for the darkest days back at the end of December but days and nights are, on average, scheduled to still grow colder and colder. For me, the longer days offset the increasing cold. Only partially, though, because November to March brings the most overcast days here in the northeast. The days, at least, are growing longer and longer by about a minute each day early this month to over two minutes from one day to the next by the end of the month. Last week I wrote that, what with the cold weather and low-hanging sun showing its face but briefly each day, there’s little for a gardener to do now. That proved not strictly true. 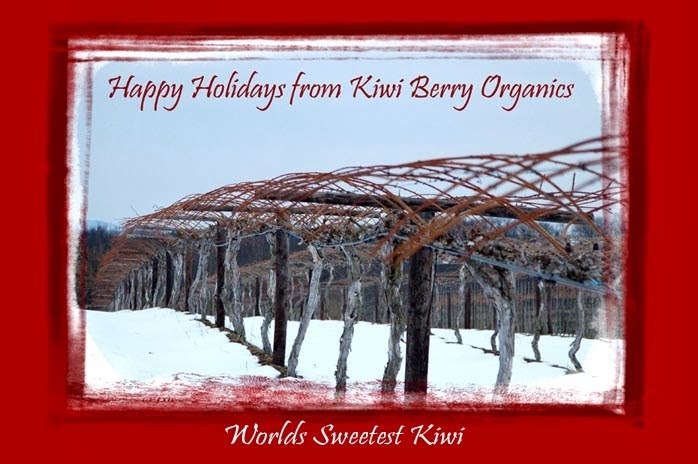 Soon after I wrote those words, I received a holiday card from David Jackson and Holly Laubach of Kiwi Berry Organics, growers of what I can attest to are, as it said on the card, the “World’s Sweetest Kiwi.” Theirs are hardy kiwifruits, the small, cold-hardy cousins of the fuzzy kiwis you usually see in the market; with their smooth skins, you pop them into your mouth like grapes. If the garden, indoors and out, has no need of my attention at any time of year, it is now. I probably shouldn’t even be writing anything about gardening because pretty much nothing is going on. So I’ll make this brief. 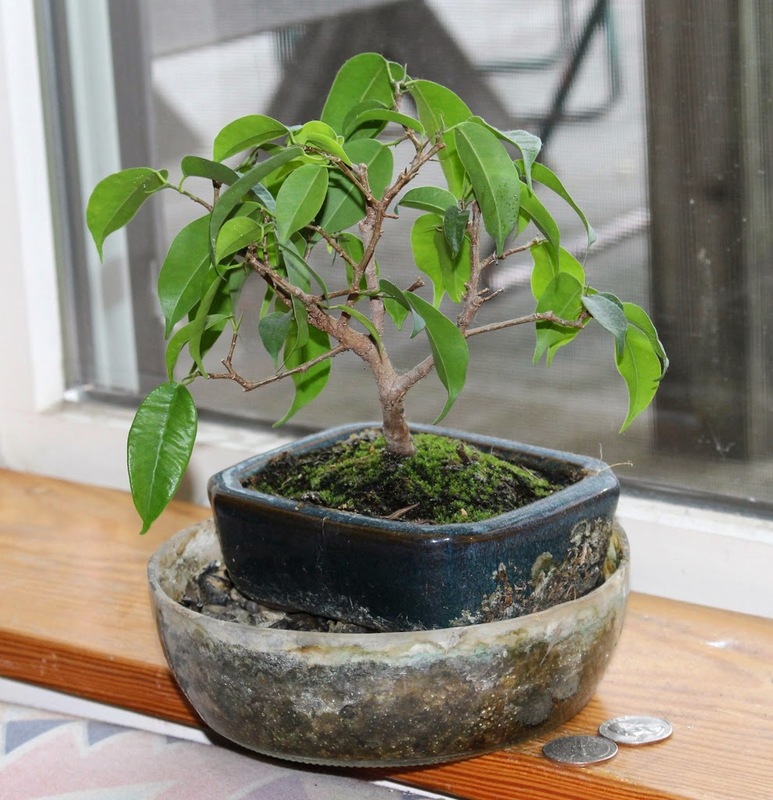 houseplants aren’t waiting for warmth. They’re indoors. These tropical plants never experience true dormancy; they’re quiescent, just sitting and waiting for better growing conditions, in this case more light.